For the week Sensex gained 0.8 percent, Nifty was up 0.6 percent, while Nifty Bank rose 1.5 percent. 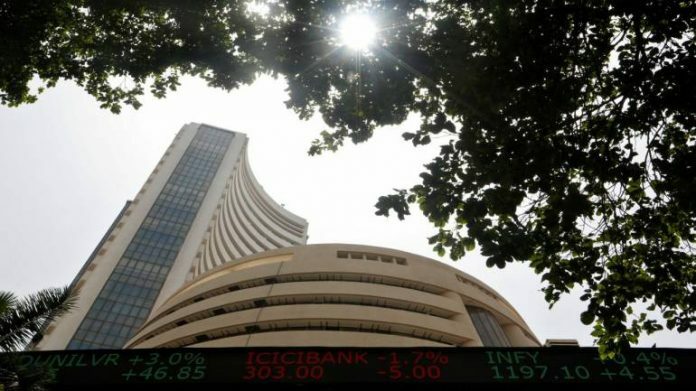 The Indian benchmark indices climbed to a fresh record high in the week ended August 10 on the back of positive earnings from India Inc. and in absence of no major development on global front. Sensex and Nifty touched their record highs of 38,076.23 and 11,495.2, respectively, on August 9. Bank Nifty also rose to record high as it touched 28,377.90 on August 10. For the week, Sensex gained 0.8 percent, Nifty was up 0.6 percent, while Nifty Bank rose 1.5 percent. Eicher Motors (10.41 percent) was a major contributor to the Nifty’s rally followed by TCS (5.27 percent), ITC (4.82 percent), M&M (2.91 percent) and BPCL (2.69 percent). Nifty formed a ‘Spinning Top’ kind of pattern on the weekly scale which implies that follow-up buying is missing at higher levels.